The price will be €199 (US$210) in countries such as Germany and France and £159.00 in the U.K. with tax. It will start shipping the week of March 16, according to Motorola. The company didn't provide any details on a possible U.S. launch, only saying that it wasn't included in the launch. The processor gives away the fact that, even though it is just going on sale, it is still a smartphone from last year. 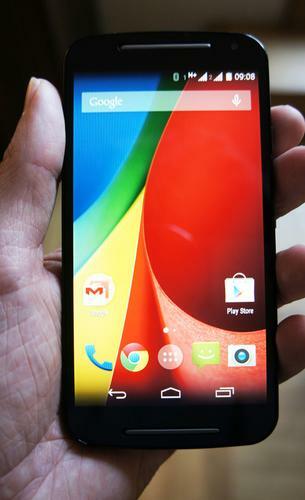 In comparison, the upgraded version of Motorola's own Moto E, which costs $150, is powered by the newer Snapdragon 415. Competition in this segment of the market is heating up. For example, ZTE's $250 Blade S6 has Qualcomm's octa-core Snapdragon 615 inside. Just like the Moto G it has a 5-inch HD screen, but also adds a 13-megapixel main camera and a 5-megapixel front camera. The Moto G's specification is still respectable, but what makes the latest versions of the Moto G and Moto E good alternatives is the sturdy design and Motorola's lean approach to the Android Lollipop user interface. Less powerful smartphones can become a little sluggish when vendors make too many additions on top of the standard interface.